We’ve made a number of minor new-parent mistakes(?) 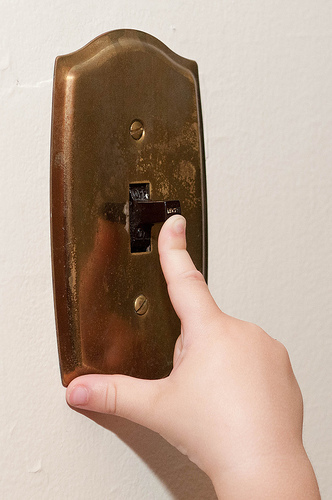 recently, including teaching Patrick how to push the light switch… he now wants to turn everything on and off, over and over. We’ve also got him helping to throw his dishes in the sink. The trouble is, he’ll empty his bowl of snacks onto the floor, for example, just so he can run into the kitchen and put the bowl in the sink.